Whether you're looking to celebrate the Fall season or Halloween season, there are plenty of festivals and fairs to enjoy in Arizona. These events often feature fun for the entire family and for all ages. Whether it's candy apples you're into, pumpkin contests, farm activities, barn dancing, costume contests, or other fall/Halloween fun, you can find it right here on Arizona Haunted Houses! 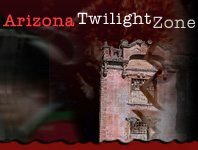 6th annual Spooky Haunted House Tucson 201 days ago Rate Now! Marana Pumpkin Patch & Farm Festival Marana 240 days ago Rate Now! Mortimer Farms Pumpkin Festival Dewey 231 days ago Rate Now!